The management of head and neck cancer has changed the past couple of years, and non-surgical management, a combination of chemotherapy and radiation, has become the norm. Doctors are opting to save as much tissue as possible, rather than removing the entire larynx, otherwise known as “voice box.” Although this helps save voices, other problems can occur because of radiation and chemoradiation. 50% to 60% of post-radiation and chemoradiation patients will develop a swallowing problem, also known as dysphagia. As speech pathologists, we serve this population of patients with swallowing therapy. We use a combination of swallowing exercises, compensatory strategies, and VitalStim (electrostimulation of the neck muscles). 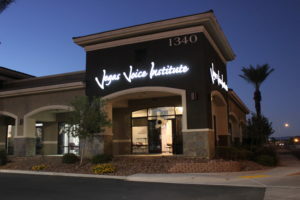 A combination of the aforementioned has helped us here, at Vegas Voice Institute, treat and help hundreds of patients. The damage that radiation can cause immediately and later in life seem to be under explained. I often here patients say, “well the radiation was years ago, are you sure my swallowing problem could be from that?” The answer is yes. Radiation has long lasting effects that can worsen over time. Often patients come to us years after being cancer free and start to have swallowing problems. We treat patients with a multitude of severities. As a patient, your severity may range from not eating at all to you just feel like food gets caught up in your throat sometimes. You may have trouble opening your jaw or you may just feel like food goes down the wrong pipe. Eating/swallowing is taken for granted by most of us. If you are struggling with eating and swallowing and its causing you distress, it may be time to talk to you doctor about swallowing therapy. You eat at least 3 times a day and it usually is a social activity. Not being able to eat with people can decrease your quality of life. Food is important to me and my family. Most of the time, family discussion during one meal is about what we’re having for the next meal. I would be lost without food. If you’re having trouble with eating and/or drinking for any reason, don’t wait any longer. Take action now and enjoy eating again by letting our team of speech-language pathologists assist you at Vegas Voice Institute. 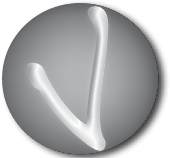 Vegas Voice Institute 2018 © All Rights Reserved.